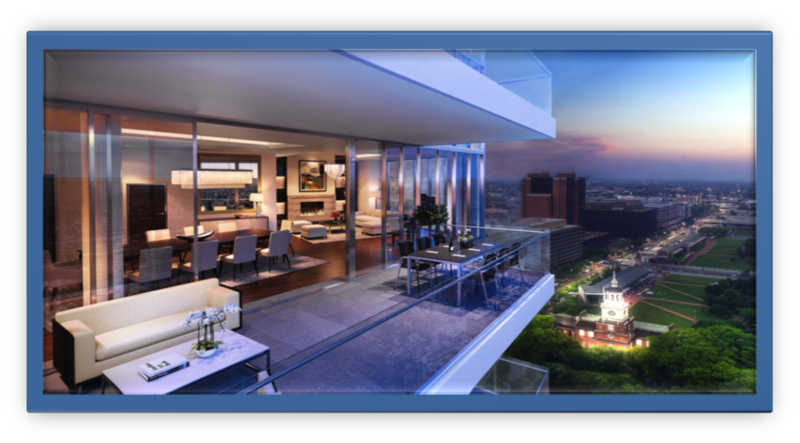 The Residences at Two Liberty Place takes luxury condominiums to a whole new level. Redesigned by the same devlopment team that brought you 10 Rittenhouse, the condominiums were recreated to provide a luxury living experience that no other property could offer. Each unit offers top-tier appliances that complement the designer finishes of luxury style living. The Resident’s Club offers state-of-the-art gym equipment including a sauna, personal training, yoga room, and a large pool. For exquisite dining, residents can enjoy preferential reservation and private entrance to Chef Daniel’s R2L Restaurant. With the condominiums being on a whole new height level, the residences also offer a luxury living style at a different level. Located in the heart of Center City Philadelphia, The Residences at Two Liberty Place is made to feel like one is centered in the soul of the energized city. This entry was posted in New Construction, New Construction Condos on May 18, 2015 by jamieraphael. One Riverside is an exceptional 22-story glass high rise offering 82 residences. The condominiums offer one of the best views in Philadelphia, located at 25th and Locust, in historic Filter Square. 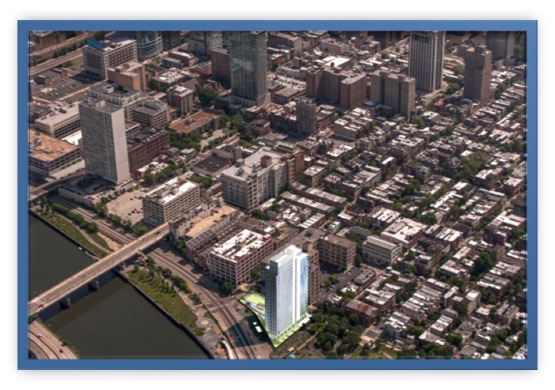 One Riverside is in quick walking distance of Rittenhouse Square, the University of Pennsylvania, Drexel University, 30th Street Station, and many more central locations. The 22-story high rise is nestled right at the entrance of the 60-mile long Schuylkill River trail. The residences provide under-ground valet parking, 24/7 concierge desk, and a state-of-the-art fitness center. The condominiums also offer a 60-foot pool, sun deck, and a private garden. 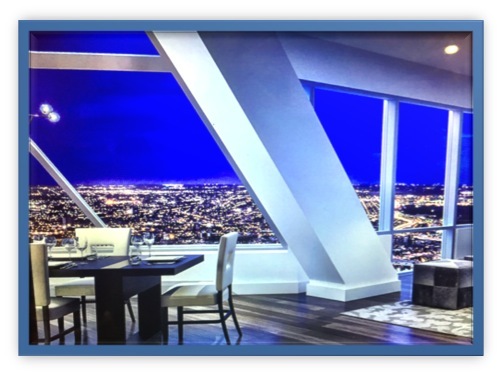 One Riverside allows its residences to have a beautiful view of the sparkling lights along the Schuylkill River. With the perfect location, scenery, and amenities that the residences offer, One Riverside is a perfect place for your new home. Units are selling fast and we are excited for the completion! 500 Walnut Residences offer 38 beautiful condominiums, each ranging from 2,700 to 4,300 square feet. In all of these elegant homes provide at least three bedrooms, a vented gas fireplace, private balconies, and breathtaking views provided by the floor-to-floor ceiling windows. The luxurious amenities are endless, starting with state-of-the-art, automated robotic parking system and private Town Car with driver. Residents are provided with a grand fitness center holding a sauna, massage room, yoga terrace, and a 50-foot lap pool with an attached spa. These condominiums are only a short walk to some of the most modern and award winning fine dining, entertainment, and world-class shopping in the country. Nestled in Society Hill, residents can enjoy walking the cobblestone streets, while enjoying all of the historical beauty Philadelphia has to offer. Make your reservation today for your beautiful home, which is estimated to be completed in 2017. 410 at Society Hill is a collection of modern residences located across from Headhouse Square in the heart of historic Society Hill. It will offer one, two and three bedroom luxury condominium residences. 410 Society Hill will feature a full-service doorman building with grand amenities including a reflecting pool, landscaped courtyard and a rooftop terrace. There will be on-site parking. Other features include: individual storage lockers and bicycle storage. 10 year Tax Abatement. Please call if you need further information regarding these beautiful condominiums. This entry was posted in New Construction, New Construction Condos on August 12, 2013 by AgentImage. Designed by Handel Architects, the Residences at The Ritz Carlton Philadelphia combines legendary Ritz-Carlton Hotel amenities with carefree Center City living . The 48-story contemporary Residences at The Ritz Carlton Philadelphia has transformed Philadelphia’s skyline. Amenities include: Chauffeur service in Mercedes S550 sedan, state-of-the-art Fitness Center w/lap pool & yoga room, private landscaped park with 12′ waterfall, residents’ lounge, media room & outdoor terrace. Homes enjoy 9- 10′ ceilings, hardwood floors, designer kitchen, master bath features Calacatta marble, double vessel sinks, Bain ultra soaking tub, Duravit commodes, & separate stall shower with frameless glass enclosure. Tax abatement. All services of Ritz-Carlton hotel are available at an additional fee for residents, include dining, housekeeping, room service, and more. One bedroom units available for 640,000 and larger units consisting of 2-3 bedrooms range in price from 800,000-3 Million dollars. This entry was posted in New Construction, New Construction Condos on June 13, 2013 by AgentImage. 1706 Rittenhouse is an intimate building of only 31 residences. These luxury full floor units offer 4200 square feet of virtually column free space, floor to ceiling windows, 10 foot ceilings, Joan Hudson kitchens, and two terraces. These are white box raw spaces which allow you to design your entire luxury home. These units are engineered to not have hallways, or noise to better your living experience. Exclusive access elevators will open directly into your residence for ultimate privacy. An automated self parking system is offered that does not require any waiting or valet service. Other amenities include a state of the art fitness center, lap pool, sauna, hot tub, and board room for private business functions. Units range in price from 4.5 Million to 6.1 Million dollars. The Ayer Condominium was originally built in 1929 for NW Ayer, the nation’s first advertising agency.In the course of a two-year, $75 million renovation, the Art Deco building façade was preserved and restored to its original condition, highlighting gorgeous Egyptian-style sculptures, reliefs and pressed metal work, as well as The Ayer Condominium’s landmark bronze doors. Inside, renowned Philadelphia architect Wesley Wei,in collaboration with PZS Architects, developed 56 captivating new condominium residences including 4 penthouses.Interior finishes include hardwood floors, stone bathrooms, 11’7″ ceilings,and Bulthaup kitchens.Remainingunits range in price from 1.395 to 5Million dollars. Amenities include hotel style five diamond concierge service, exclusive garden terrace, fitness room and a chauffeur driven Lexus. Tax abatement. This entry was posted in New Construction, New Construction Condos on June 12, 2013 by AgentImage. Soaring 42 stories above Center City, Murano, like the fine Italian glass it was named for, merges form and function, life and art, to stunning effect. The interiors feature gourmet kitchen with breakfast bar, stainless steel appliances, designer fixtures and rich granite countertops. The spa bathroom boasts imported ceramic tile flooring and a large sink with storage vanity. Included in the condo fees are central air and heating, water, private storage space, a 24 hour concierge, a 60 ft indoor pool, a landscaped sun-deck, and a state-of-the-art fitness center. These residences are just a short distance to fine dining, Trader Joe’s, one-of-a-kind shopping, 30th Street Station and Rittenhouse Square. Garage parking is available for 35,000 dollars. One bedroom units start around 400,000 dollars and larger units range from 800,000-2.5Million dollars. This entry was posted in New Construction, New Construction Condos on June 11, 2013 by AgentImage.